Orthopedic bedding is an excellent way to keep your pet comfortable. We are now offering Big Barker Beds. The Animal Therapy Center highly recommends this bed particularly in cases of severe joint, nerve or skeletal problems. These beds are guaranteed not to flatten for 10 years, and have waterproof liners for pets with incontinence issues. You can stop by our facility any time to try one out! 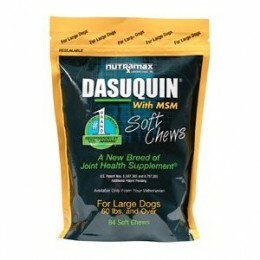 Dasuquin joint supplements are excellent sources for joint health. Omega Benefits fish oil is a fatty acid supplement vital to everyday health, strong muscles and healthy joints which also supports dry, flaky skin and seasonal skin allergies. 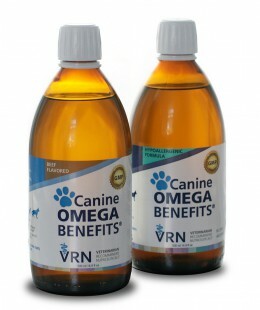 Ask at your next therapy visit if your pet would benefit from these supplements! We carry Help ‘Em Up and Walk About harnesses in all sizes to help pets with mobility issues – and more importantly to help their owners! 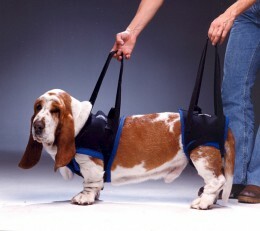 When you purchase a harness from the ATC we will customize its fit to your pet to ensure proper placement and fit. 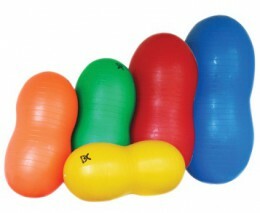 We also carry exercise equipment for you to continue your pet’s therapeutic treatments at home. 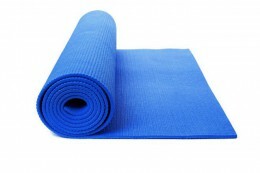 Exercise peanuts, yoga mats, and other equipment can keep your pet fit and on track with his or her rehabilitation plan away from the ATC! 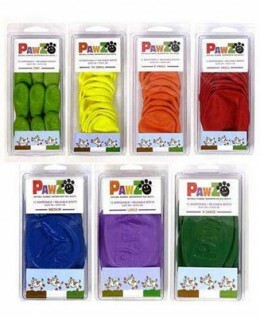 Pawz Boots are also available at the ATC to help pets who have trouble getting around on slippery surfaces. 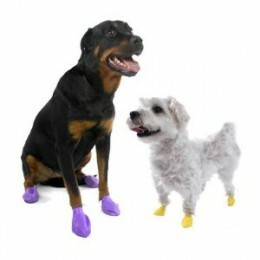 For dogs with hind end weakness, back issues, and abnormal gaits, the rubbery texture of Pawz can help gain traction for easier mobility! 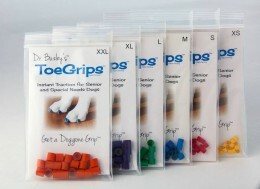 Toe Grips are another similar mobility assistance option that can be worn for longer periods of time than Pawz boots as they do not constrict and cover the entire paw. 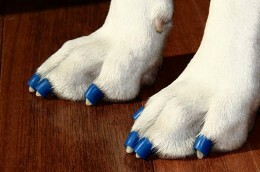 Toe Grips stay on until they either fall off or a nail trim is needed! Please call for pricing information on products we carry. Additional information available upon request. Any devices that are worn for therapeutic assistance, such as harnesses, boots, etc., should only be worn when in use and not when the pet is idle. Supplements must be prescribed by a staff veterinarian before dispensing.